From something as small as fitting a light switch or new plug socket to completely rewiring a property, Bath & South-West Electrical Services are the company you require. Prior to every job we will offer the client a free quotation which is usually valid for up to 30 days. Simply give us a call and we will come to your site or residence and provision the quote following a brief consultation. For smaller jobs we are able to give a price over the phone, but we always strive to attend the property and ensure we give an accurate quotation. All of our quotations are provided on a parts and labour basis. 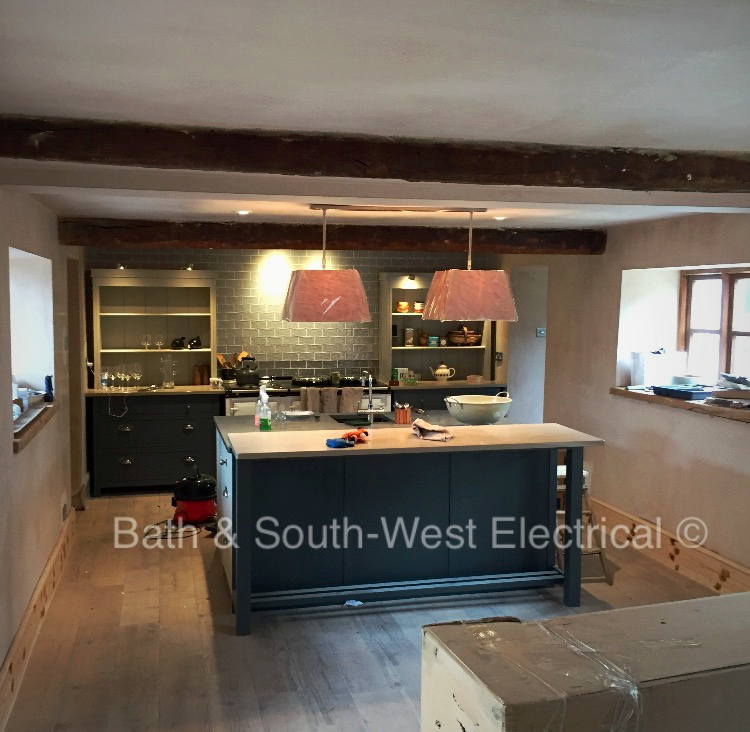 Whether you require a full wiring installation for a new build or have a faulty fuse box that needs attention, Bath & South-West Electrical Services are here to help. You can’t put a price on peace of mind and no home or workplace should be without fully functional & regularly tested fire alarms, smoke detectors & security systems. It’s vital that your electrical systems are checked for defects that could result in safety problems. Book in your electrical inspection & test today. You cannot see electricity. Cables are usually hidden inside our walls, and consumer units are often hidden in cupboards, so it is not surprising that we forget to check the condition of our electrical installation for damage or wear and tear. Faulty and old wiring is one of the main causes or electrical fires in the home. You can reduce the risk of a fire by checking the condition of your cables, switches, sockets and other accessories regularly. How old is my electrical installation? Fixed cables coated in black rubber (stopped being used in the 1960s). Fixed cables coated in lead or fabric (used before the 1960s). A fuse box with a wooden back, cast iron switches, or a mixture of fuse boxes (used before the 1960s). Older round pin sockets (or light switches), braided flex hanging from ceiling roses, brown (or black) switches, or sockets mounted in or no skirting boards (used before the 1960s). Light switches on the walls or in bathrooms (used before the 1960s). However old your electrical installation is, it may get damaged and will suffer from wear and tear. So you should get an electrician to check its condition at least every 10 years or when you move into a new property. What is the aim of a condition report? Provide and important record of the installation at the time of the inspection, and for inspection testing in the future. Visual condition report - this does not include testing and is only suitable if the installation has been testing recently. Periodic inspection reports - this is what we would normally recommend, as it tests the installation and would find any hidden damage.